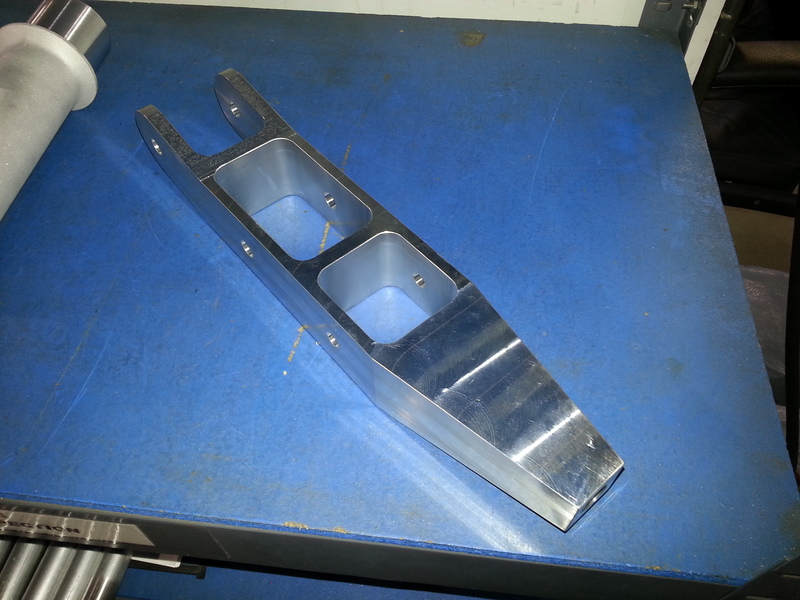 Our manufacturer sent us a picture of the prototype. The way the suspension was designed for the car means there needs to be a sacrifice in either usability, strength, stiffness, or price. After seven design revisions, this is the one we finally settled on. Since every user is different, we wanted to offer a wide range of camber adjustment, while keeping it strong and light. Although we sacrifice a little bit in stiffness by using a long adjustment link, we feel the benefits outweigh shortcomings. 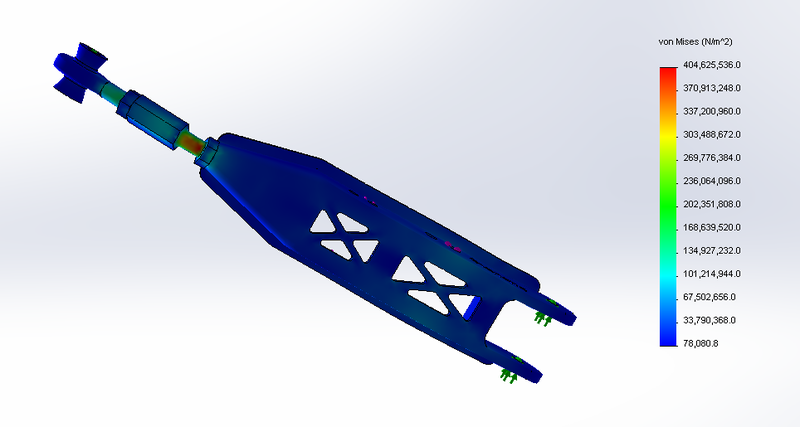 However, side-by-side, still managed to design a stiffer unit than stock, which will improve driver feedback. 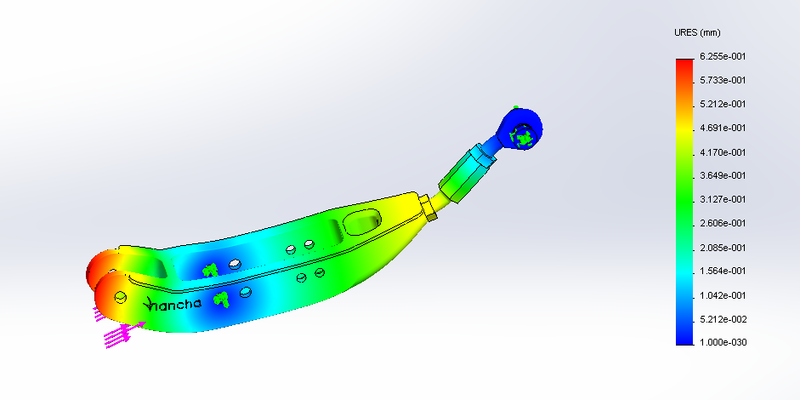 FEA was a bit more difficult for the control arm than the toe link. 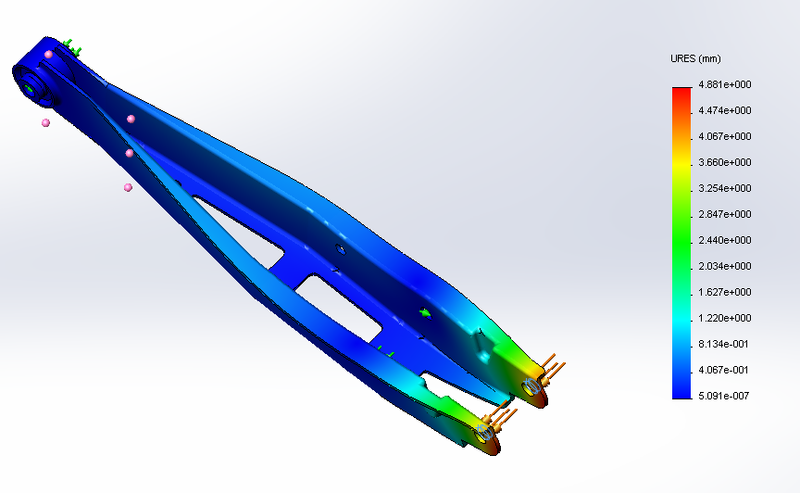 This is because the damper dissipates some of the force and I don’t have ANSYS nor the skills to accurately model that. 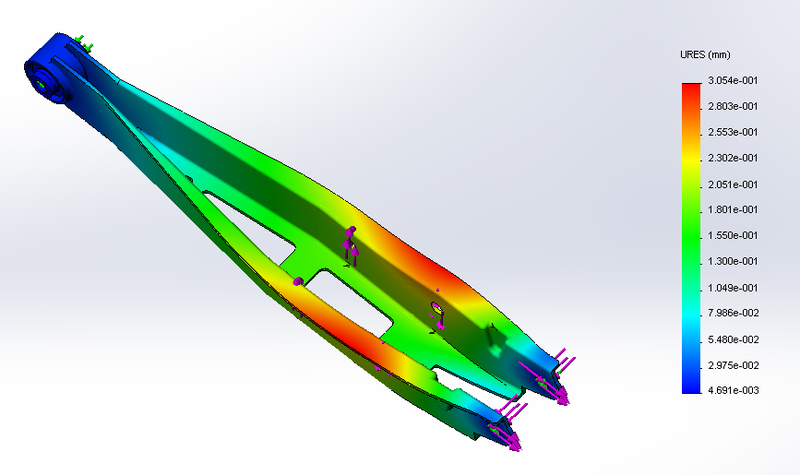 To simplify the FEA and as an added Factor of Safety in design, I used fixed hinge connections where necessary for the boundary conditions. 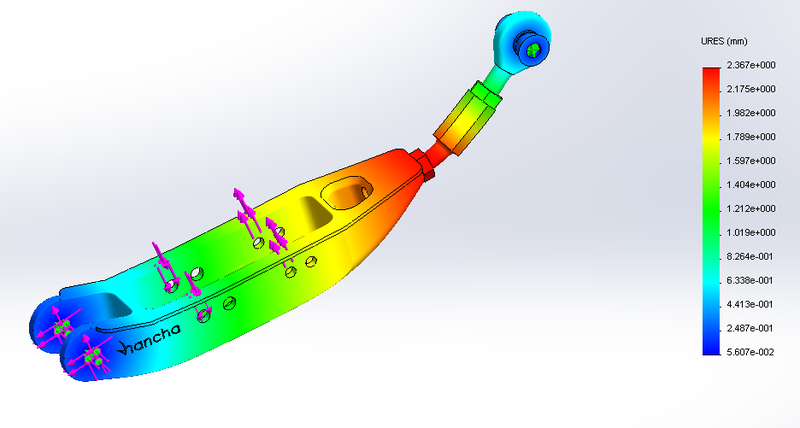 This is a less accurate way to analyze the control arm, because the loads transferred into the model are more severe, so I knew if it could stand up to these conditions, it would be okay out in the real world. And a combined 2G bump, 2G braking, 2G cornering. As you can see, this is the limit and is a failure mode. The adjustment link will break where it threads into the control arm. It’s highly unlikely a FR-S/BRZ could achieve this condition, but we wanted to be absolutely sure the control arms will be ready for anything. Also, remember, this on top of the extra safety factor built in from the boundary conditions. If you compare, our control arm manages to be about 29% stiffer under combined loading, but an impressive 313% stiffer under braking! Take this with a grain of salt as the boundary conditions are imperfect, but both parts were analyzed in the exact same way. 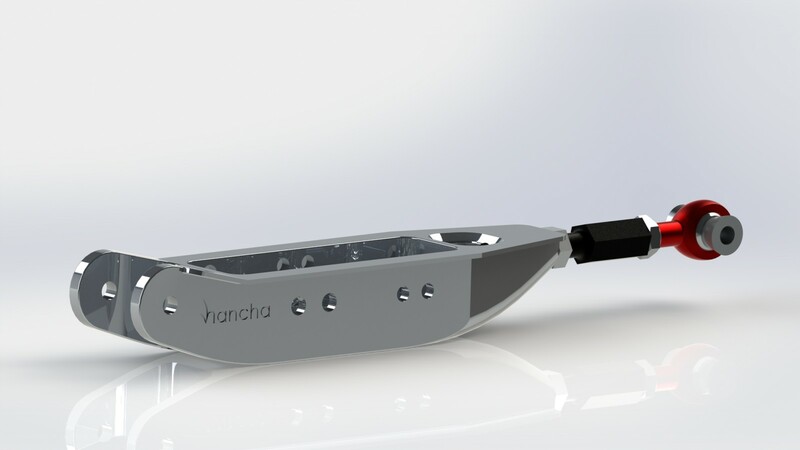 Once we have finalized the production design, we will work on getting the price finalized. We will then put up an initial group buy. If we have enough buyers interested, we expect to take delivery before the end of April. 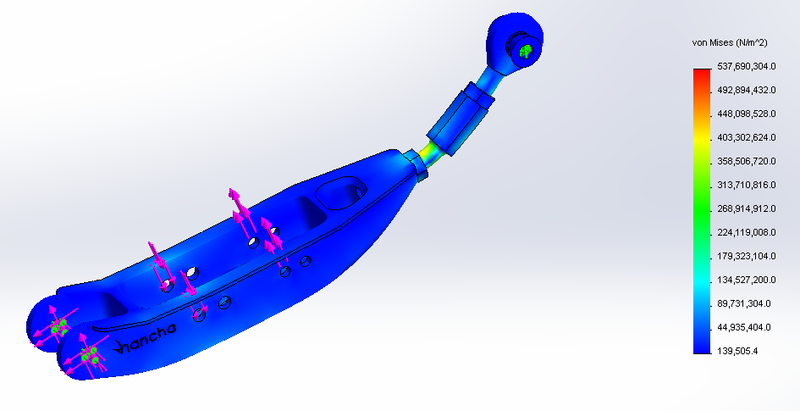 This entry was posted in BRZ, design, fea, FR-S, GT86, modeling, suspension and tagged rear lower control arm on March 22, 2013 by Earl.